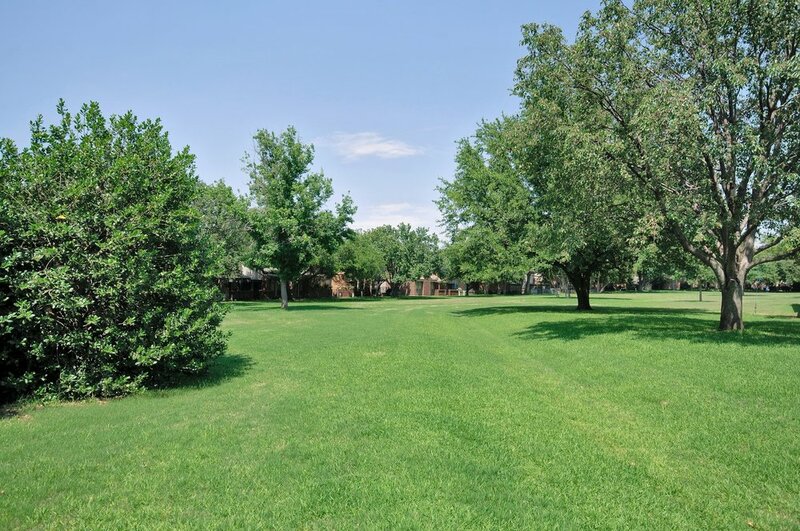 One of the most beautiful Townhome communities in Dallas with a single entrance into the community, mature trees, lush landscaping and expansive open green areas. 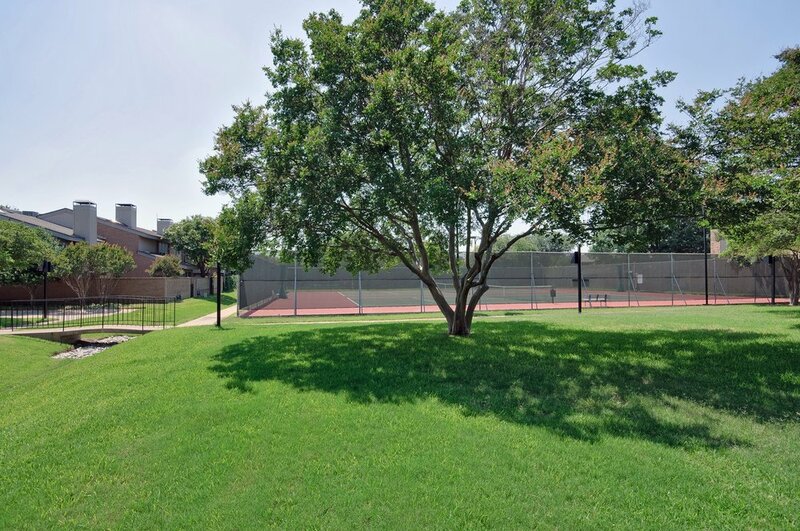 Your Townhome has direct access to expansive green areas through your back patio, just steps away from a gorgeous pool, club house and tennis courts. 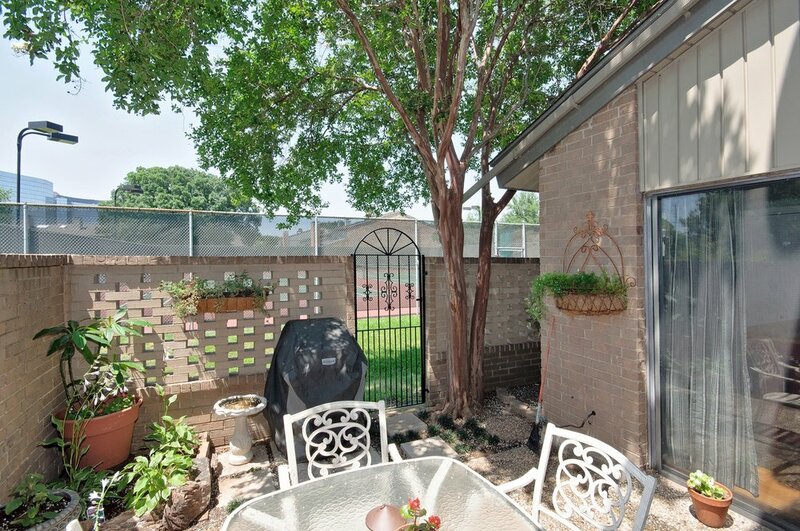 You enter the home through a garden courtyard or the 2 car attached garage. 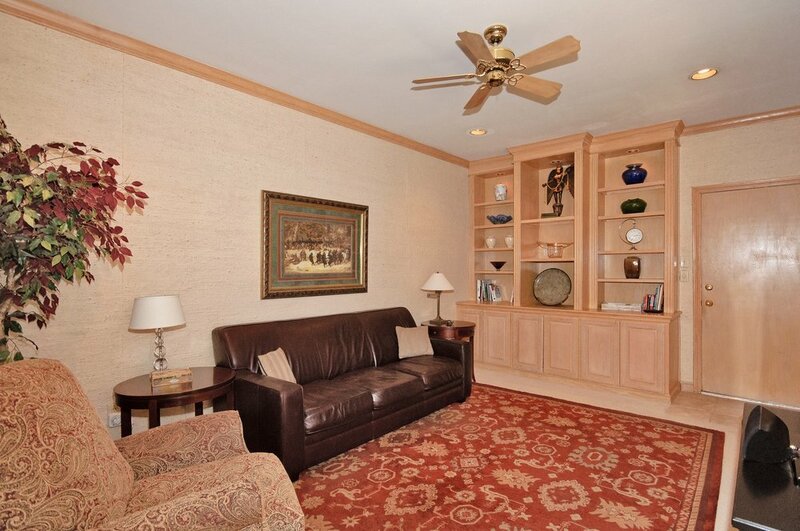 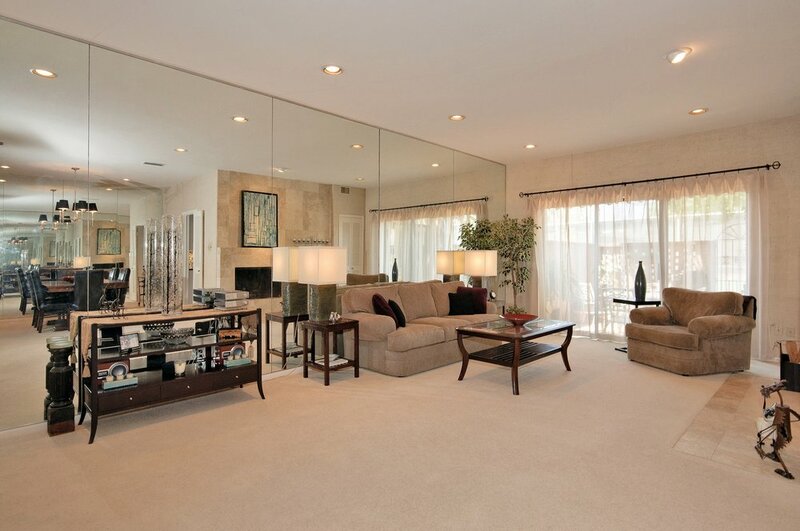 Both the living room and master bedroom boast of vaulted ceilings. 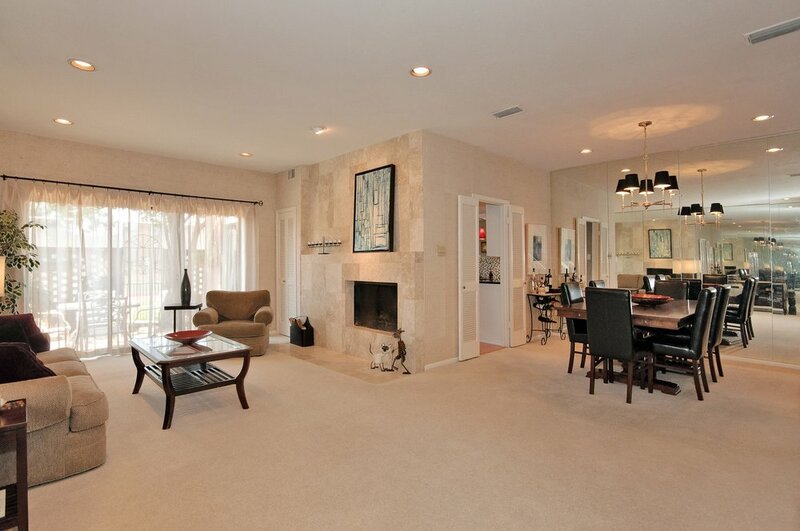 The open living area is accented with a travertine fireplace overlooking the back patio which is smartly landscaped, large enough for a patio table and barbeque and shaded by trees. 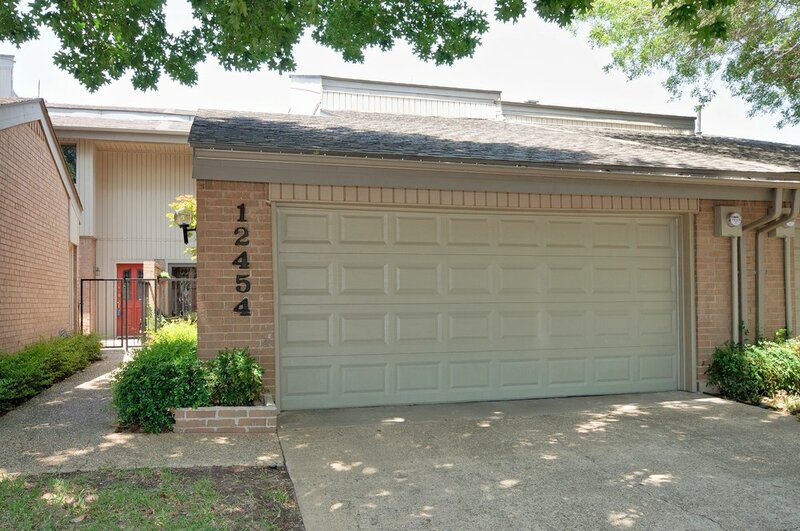 The bright and cheery kitchen has been recently update with hardwood floor, granite, stainless appliances including a double convection oven, dcor faucet with the breakfast room overlooking the back garden patio. 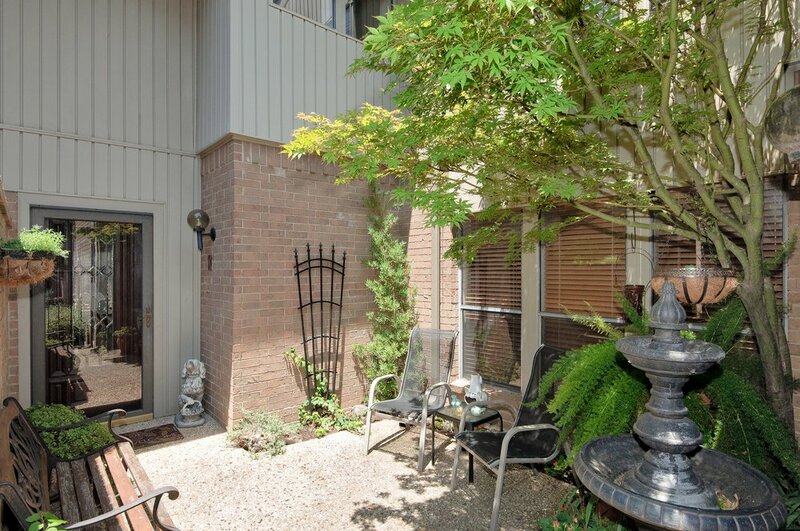 Upstairs you will find a luxurious master bedroom suite with 2 large walk in closets and 11 foot vaulted ceilings overlooking the back garden patio and green area. 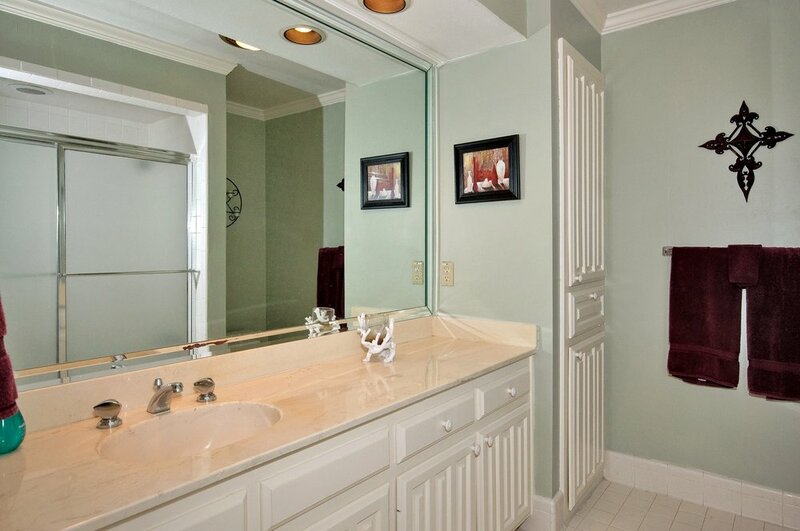 The updated master bath features marble floors, travertine shower and has been recently updated with granite counter with dual sinks. 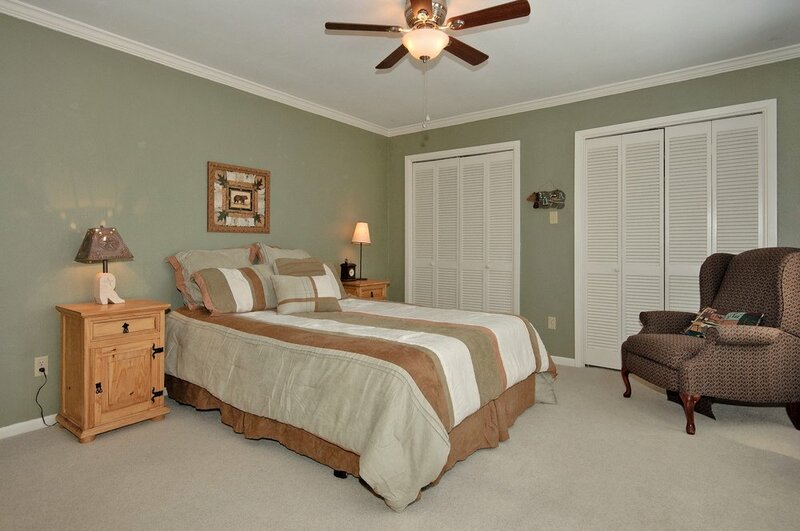 The large second bedroom upstairs overlooks the front garden patio with 2 full size closets and a private full bath. 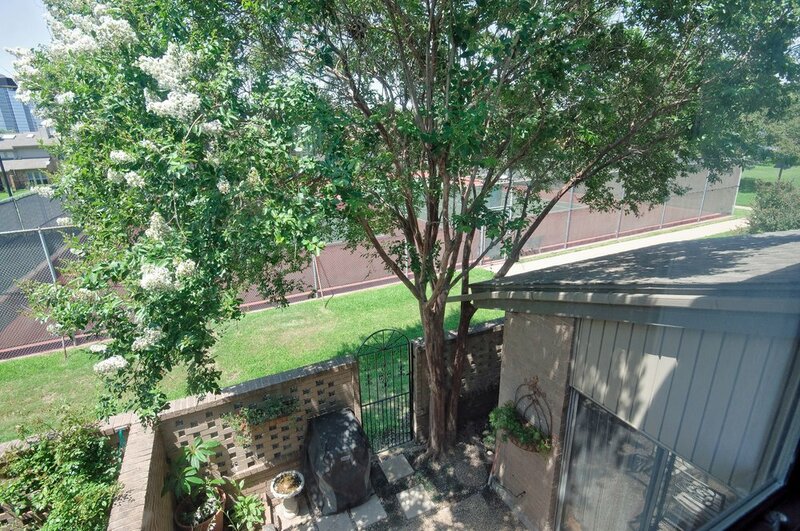 Also properly located on the 2nd floor is a large utility room for full size washer and dryer with plenty of built-ins. 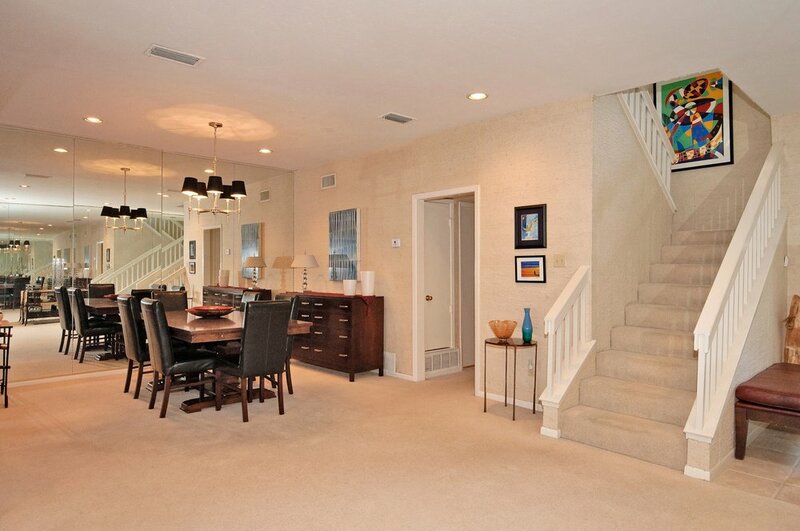 The third bedroom downstairs overlooking the entry garden patio is currently used as a study.